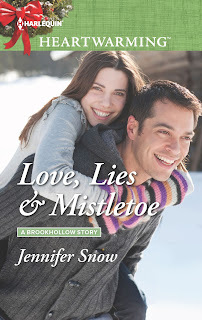 Red Moon Book Tours: Now on Tour - Love, Lies and Mistle Toe by Jennifer Snow! 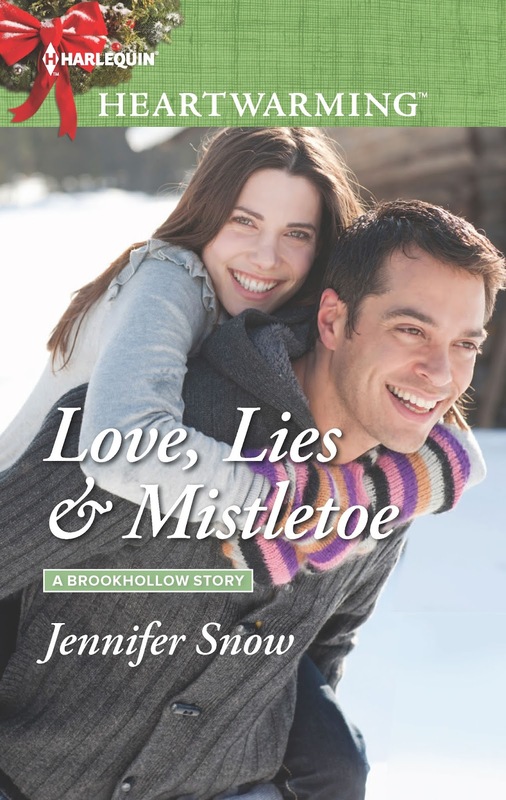 Now on Tour - Love, Lies and Mistle Toe by Jennifer Snow! Just in time for Christmas, a sweet, holiday romance! Love, Lies and Mistletoe in on Review Tour! And there's a great giveaway to go along with it so make sure you enter! As a detective in New York, Jacob Marx had been deep under cover in a drug cartel…until a bust went terribly wrong. Now posing as a good guy is proving even tougher. Since the force sent him to Brookhollow to lie low as a deputy sheriff, he's been struggling to stay detached from the townspeople. Especially Heather, the gorgeous, high-heeled bartender at the local pool hall who asks too many questions. Tempted as he is, he can't allow himself to connect with her or anyone else. His career and safety are at stake. Of course, a little flirting couldn't hurt… Could it? “Well, there you go. Longest eight-minute ride of your life,” Jacob said. He really had nowhere else to be. Technically, he was on duty. And technically, this was his important assignment today. “I guess I could stay for a bit.” He shut off the car and reached for his gloves in the backseat, just as she went to grab hers. Instead of handing hers over, he held one open for her. She sent him a funny look as she slid her hand into the soft cashmere, then she held her other hand up for the second. “I’ll pretend that wasn’t totally awkward,” she said as she opened the door. He touched her arm, stopping her. “Nothing. I just want to say thank you...for making the effort.” He wasn’t exactly making it easy for people in town to get to know him, and she could have continued ignoring him like everyone else. And what if he only wanted acceptance from the one person who was leaving soon? Then what?